Australia’s only tropical capital city, Darwin, is the place to be. With the weather being amazing and events all around April is the perfect time to go. Darwin is one of the best places in Australia to travel to and to make it better, isn’t very hard to get there. With cheap flights all year round from places like Jetstar or Kayak and easy to book, luxury accommodation and apartments in Darwin, there is no reason not to go. In April, one of the best family friendly events is the Top End mud racing. 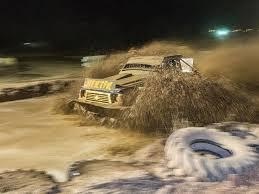 Held once a month on Saturday night during the wet season, get dirty as VW Beetles and high-powered Top Gun vehicles race along a course through deep mud and water, enjoying the noise, dirt and atmosphere. This loud, fast paced, exciting, and very, very dirty sport (for the competitors) is great viewing for all the family. Watch as VW Beetles compete against each other, and the clock, through a 700-metre course. There's plenty of room to spread out and watch as the drivers fight their way through deep mud and water. Food and beverages (including a bar) are available on the night, so all you need to worry about is forgetting to bring something to sit on. A quick drive from the city is the world renowned Kakadu national park. It is Australia's biggest national park, were you'll find lush, beautiful rainforest and breathtaking rock art galleries, which are up to 20,000 years old. The main site of Anbangbang Gallery reveals stories of Dreamtime ancestors, a major part of the culture. You can learn more about Aboriginal culture from traditional, owners the Bininj/Mungguy people whilst there. They also hold numerous activities such as The Warradjan weavers, where you watch local women demonstrate the art of weaving and show you all the tricks to create your own bracelet, mat or basket. There’s also the Nourlangie (Burrungkuy) rock art talks, where the ranger will tell you the stories from this spectacular gallery and give you insight into why rock art at this site was painted, and how the paintings and landmarks represent law, land and family for Bininj/Mungguy. Throughout the whole month of April, the astonishing art installation “Field of Light” is on display. The Field of Light art installation has come ‘home’ to the place that inspired it - Uluru. 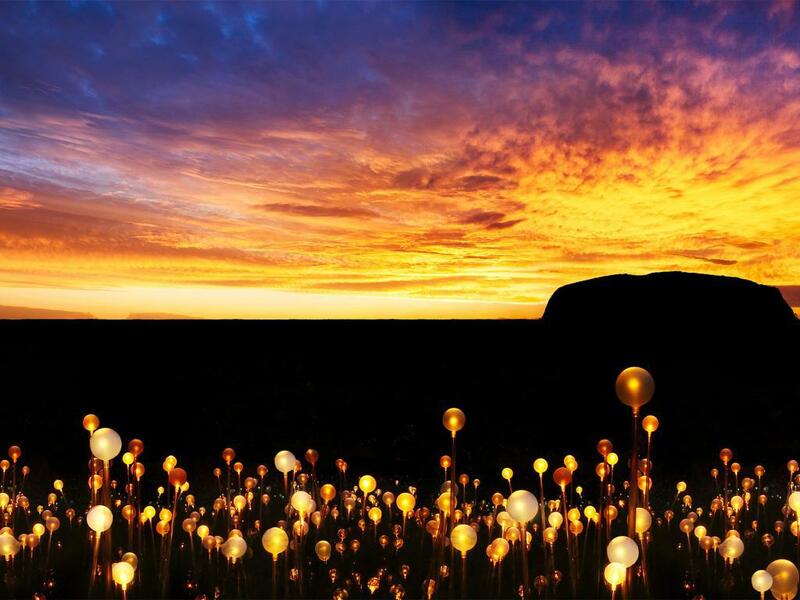 Ayers Rock Resort will host the largest Field of Light installation to date. The art installation is more than 50,000 slender stems crowned with frosted-glass spheres bloom as darkness falls over Australia’s spiritual heartland. The British artist conceived the idea at Uluru in 1992 after eight years in Australia. Pathways draw viewers into the installation, which comes to life under a sky brilliant with stars. The installation, named Tili Wiru Tjuta Nyakutjaku by the local community, means ‘looking at lots of beautiful lights’ in local Pitjantjatjara and will be in place until 31 December 2020. Whilst it is not going anywhere, April is the perfect time to see it. With the temperature only dropping to 24-degrees overnight, you won’t have to worry about the chill of the night time. With so many fun and exciting activities to do, Darwin is the place to be and what better time to go than now? !